Product #15936 | SKU HPRC2600WFBLACK | 0.0 (no ratings yet) Thanks for your rating! 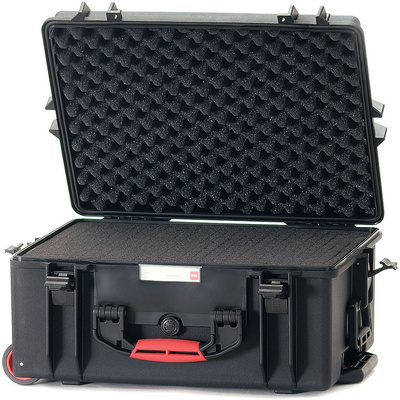 The black 2600 High-Performance Resin Case Hard Case with Cubed Foam from HPRC is a lightweight, waterproof, unbreakable case. It is also crush, acid and corrosion proof and meets ATA 300 specifications for transit cases. The case also meets IP67, STANAG 4280, DS 81-41 standards for vibration, temperature exposure and impact. The interior is a cubed foam that can be configured to accommodate whatever gear you need on a given day. Each piece of equipment can be securely nested within its own foam compartment.